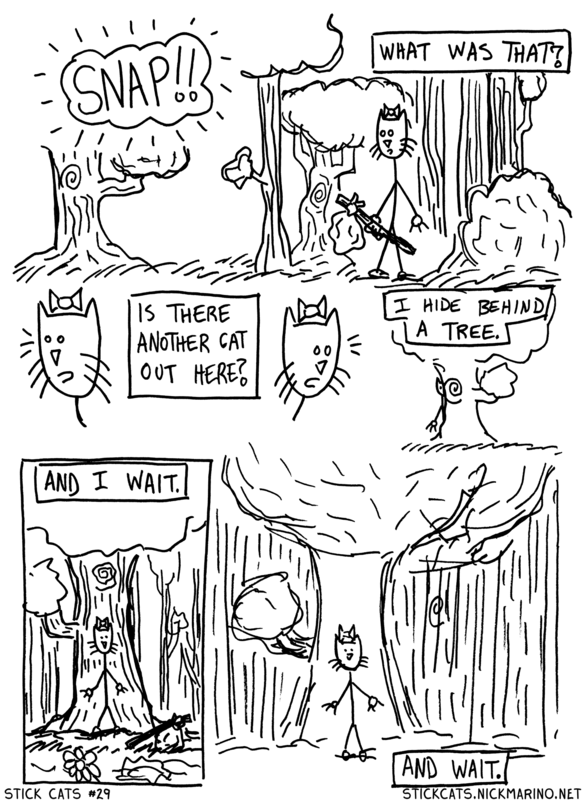 Previously in Stick Cats: Marmalade continues her lonely journey through a foreign island forest. It was great to meet so many new comics fans at the N.E. Geek Expo this past Saturday! Thx to all of you who purchased Stick Cats. I hope you enjoy the ride!!! 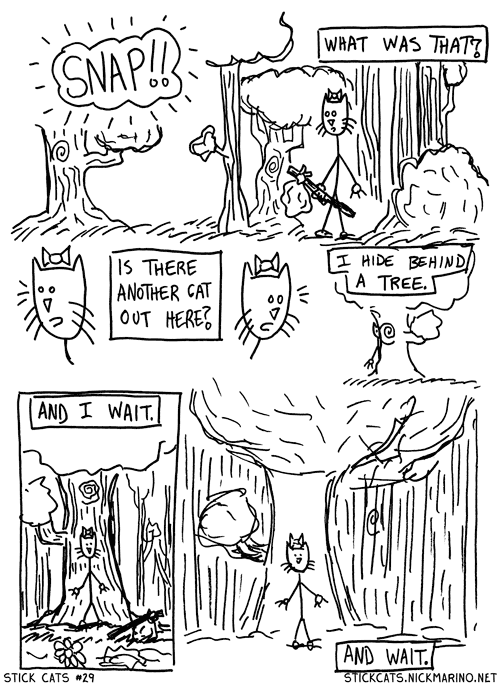 Speaking of which, have you read Stick Cats: Act I yet? If not, lemme make it easy for you -- now you can read the entirety of Act I on the Stick Cats Facebook fan page. And while you're there, also make sure to hit the like button and become a fan!